Happy to be DJing this year’s 3 Styles battle in Vancouver again! Can’t wait! Really loved the energy out there last time! 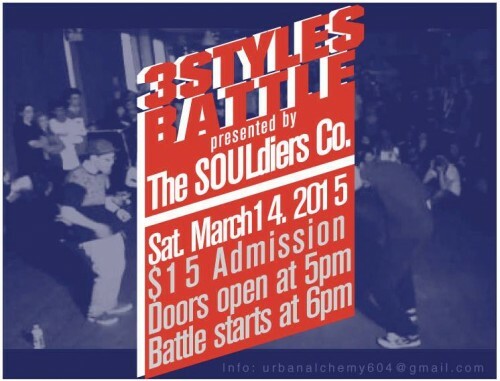 The SOULdiers Dance Company presents… their annual battle! Sign up on the wall below or at the door.